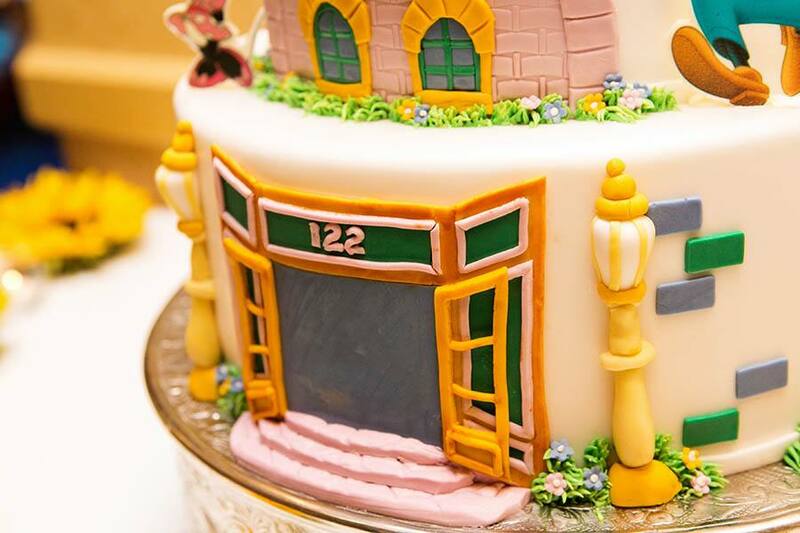 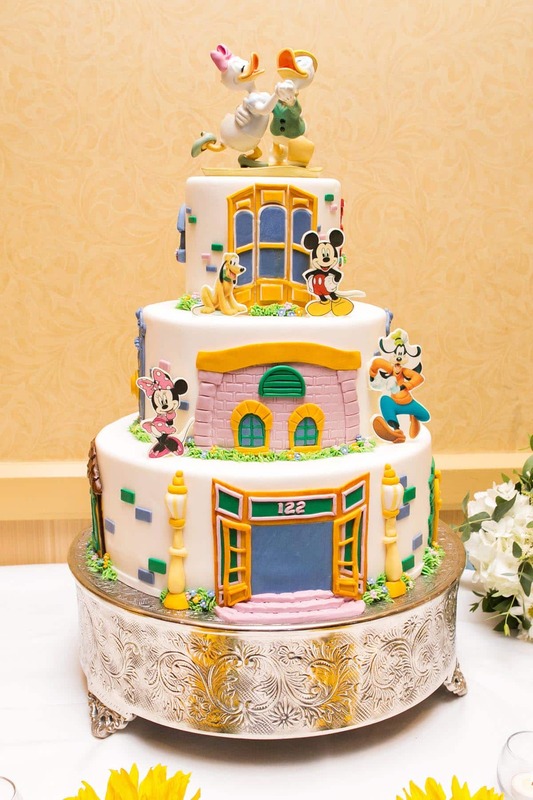 This Wedding Cake Wednesday, we are taking a trip to the hometown of the beloved Disney Characters: Mickey's Toontown. 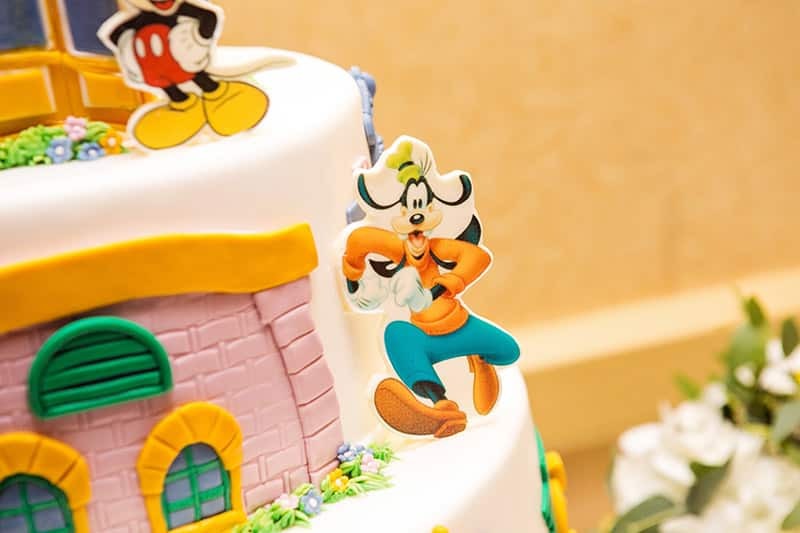 Katie and Shaun wanted something different than the typical wedding cake design and decided to go with one of their favorite areas of Disneyland. 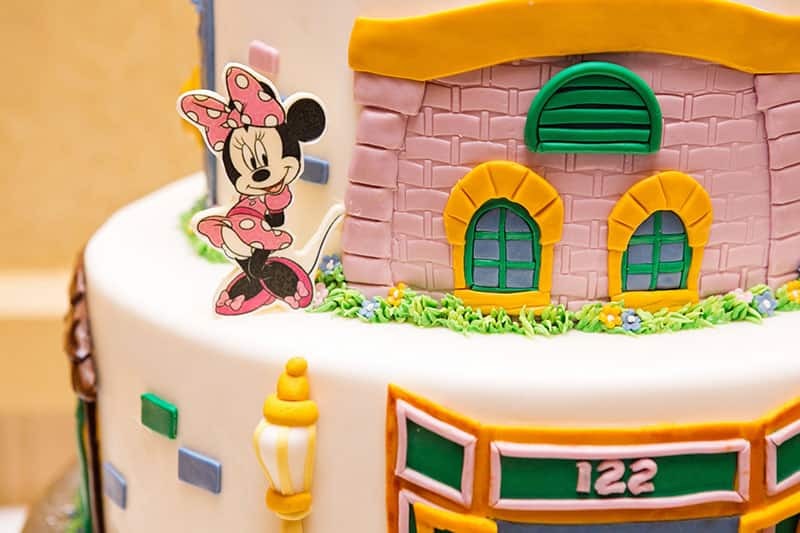 The architecture on the cake is based off the iconic, wacky style in the town, and all the classic characters adorn each layer. 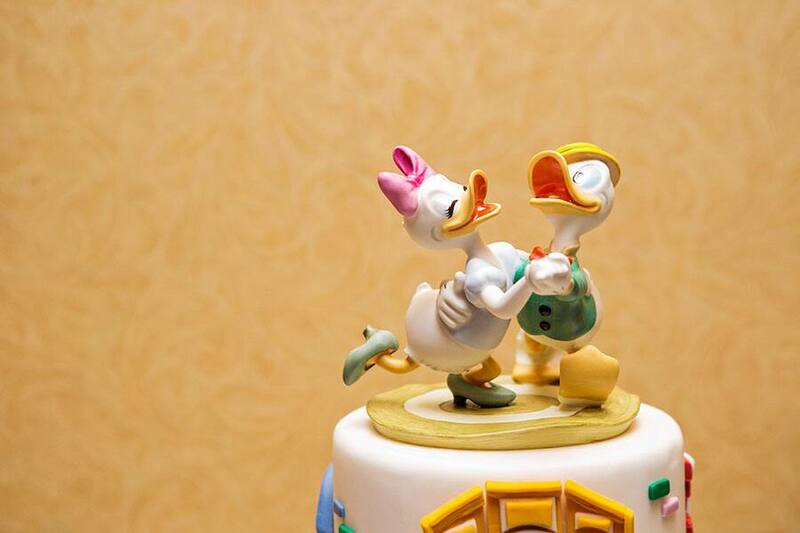 On top of it all is the couple's favorite Disney couple, Donald and Daisy Duck.